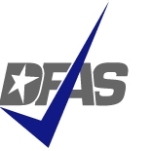 An agency of the U.S Department of Defense, the Defense Finance and Accounting Service (DFAS) is responsible for administering finance and accounting services for the military and other members of Defense. The agency provides services primarily for (military) service men and women, or “warfighters”—including processing military, civilian, retiree, travel and contract/vendor pay, and managing military health care and benefits. DFAS also provides accounting for the Department itself (e.g., of appropriations). The Defense Finance and Accounting Service (DFAS) was created by the Secretary of Defense in 1991 in an effort to streamline, cut costs and improve quality in Department of Defense finance and accounting operations through consolidation and standardization of procedures. In May 1994, after several false starts, the DoD announced that the DFAS would begin consolidating its finance and accounting infrastructure in fiscal year 1995, and was successful in consolidating more than 300 installation-level finance and accounting offices into 26, and reducing a workforce of 27,000 to 16,000 personnel. The agency is customer-financed (working capital fund agency financed by reimbursement of operating costs from its governmental customers—mostly the military service departments) rather than funded through direct Senate appropriations. Base Closure and Realignment Commission (BRAC) reorganizations, especially those done in 2005, have had a dramatic effect on the DFAS, eliminating the majority of small sites in a major consolidation effort. See Controversy Section. The agency is responsible for all DoD payment operations, maintains the records of all those compensated for military service, and administers services such as wage garnishment—often as a means of paying child support. In FY 2011, the DFAS processed 171.7 million pay transactions pertaining to 6.6 million individuals and accounts. It made 7.7 million travel payments, paid 11.8 million commercial invoices, maintained 264.1 million general ledger accounts, managed $559.4 billion in military retirement and health benefits funds, made $608 billion in disbursements to pay recipients, managed $30.7 billion in foreign military sales (reimbursed by foreign governments), and accounted for 1,165 active DoD appropriations. The agency is headquartered in Indianapolis, Indiana, and has four additional operating sites (two in Cleveland, Ohio; Limestone, ME; Rome, NY). The Defense Finance and Accounting Service (DFAS) spent nearly $182 million on 382 contractor transactions between FY 2002 and FY 2012, according to USASpending.gov. The top five types of services paid for by the agency were management and support ($125,157,686), accounting ($21,503,833), gas ($12,906,704), electric power generation ($6,507,117), and management accounting support ($5,344,024). The Defense Finance and Accounting Service (DFAS) sent out warnings in 2012 about email scams targeting military members, retirees and civilian employees. One email scam tried to lure veterans into sharing income tax information, with the promise of receiving additional refunds from the Internal Revenue Service. The scammers used “spoofed” DFAS email addresses to make recipients think the communications were legitimate. To counteract the threat, DFAS developed pages on its website to highlight the official email policy, examples of scam emails (including one from the “Us Army Marriage Department” and another from the “Us Army Vacation office”) and contact information for law enforcement agencies. Rarely in the news, the DFAS garnered headlines in March 2010 when a union official complained about workers getting fired for failing credit checks. Labor representative Troy Marshall drew attention to security clearance rules that had resulted in 20 terminations, with another 47 pending at the time. He said the rules were unfair because the employees didn’t handle classified information and were struggling to pay off debts, such as credit card and hospital bills, during the recession. The DFAS decided a week later to suspend the policy while it reviewed the terminations. The DFAS decided in April 2009 to not renew a contract with Lockheed Martin to process pay for military retirees, citing problems with the defense company’s past work. Lockheed had been accused of delaying payments to veterans, mishandling their cases, and charging the government too much for the work. The DFAS planned to give the work to government employees in Cleveland, a move that was projected to save the Defense Department $20 million over 10 years. A few months later, a report from the Pentagon’s inspector general called for Lockheed to reimburse the DFAS more than $700,000 for doing a lousy job in processing pay and annuities for military retirees. The DFAS spent three years trying and failing to get a program created to issue back pay to injured veterans up to date. The VA Retro Pay program was launched in 2006, and two years later, the DFAS missed a self-imposed deadline to complete the work for some 133,000 disabled retirees. By 2009, it still hadn’t finished, leaving 39,000 veterans out in the cold. Payments ranged from hundreds to thousands of dollars for recipients with disabilities who served in the military for 20 or more years. Jim Minnery, an accountant with the DFAS, spent most of the last decade trying to figure out how the Department of Defense lost sight of $2.3 trillion in taxpayer dollars. Minnery first discovered things weren’t right in the late 1990s, and by 2009, he and DFAS still could not locate where the money went. His investigating got him into trouble with supervisors, resulting in harassment and being reassigned. A former Marine turned whistleblower, Minnery checked records across the country, while his bosses expressed little care for the problem, he said. “The director looked at me and said, ‘Why do you care about this stuff?’ It took me aback, you know? My supervisor asking me why I care about doing a good job,” Minnery told CBS Evening News in 2009. Some federal civilian employees who also served in the Reserves and National Guard may have been wrongly charged leave while performing annual training or serving on active duty. The Butterbaugh decision (as well as some related cases) could restore leave for affected persons. The decision and administrative claims procedures are detailed in the link below. An investigative report by the DoD Inspector General (IG) on the public-private competition for the DFAS military retired and annuitant pay functions revealed that a contract with a potential 10-year value of $346 million was awarded to a contractor rather than the lower in-house bid because of a $31.8 million error—an error first made by another contractor hired by the DFAS to conduct the competition. The Base Closure and Realignment Commission (BRAC) is a U.S. federal effort aimed at streamlining and cost-cutting in armed forces operations and administration. More than 350 installations have been closed in five BRAC rounds (1989, 1991, 1993, 1995 and 2005). BRAC has completely restructured the DFAS, integrating smaller sites into major centers. The most recent cuts in 2005 have reduced U.S. sites to Cleveland, Columbus, Indianapolis, Limestone (Maine), Rome (New York), and a liaison office at Fort Belvoir (Virginia). Charleston, Dayton, Lawton-Fort Sill, Lexington, Norfolk, Omaha, Oakland, Orlando, Pearl Harbor, St. Louis, San Antonio, San Bernardino, San Diego, and Seaside have all been closed down. The Department of Defense’s inspector general called for changes at the Defense Finance and Accounting Service (DFAS) in 2011 after finding the agency did not properly collect debts owed by defense contractors. The DFAS allowed delinquent companies to avoid paying as much as $209 million owed the government, according to a bipartisan group of lawmakers who also called for reforms after the reading the report (“Defense Finance and Accounting Service Needs More Effective Controls Over Managing Contractor Debt”). It was recommend that DFAS improve management controls to ensure completeness and accuracy of data concerning contractor data. Specifically, the IG said the agency should revise procedures to require the recording of valid tax identification numbers and codes. DFAS hasn't processed the claim of my father's death; it has been 10 months since the submission. Although we were informed that we submitted all of the correct paperwork, and has been escalated 4 times, it still hasn't been processed as of April 2019. It is clear that it needs to be escalated again, however, no one would escalate it because I was the person calling rather than my elderly mother. This is ironic since I have been the person calling and verifying all of the necessary information all along. You didn't deserve my fathers's service. My father, retired AF Lt. Colonel, hasn't received his pension since October and the DFAS seems incapable of resolving the problem. Repeated phone calls (and even a personal appeal to Director McKay) have had NO result. What a pathetic response to a distinguished veteran! Our next step will be to contact state congressional representatives and DOD. Does the Retirement 1099R suppose to be taxable and if so why is it that only $160 is taken out and not the taxable amount from $1723 which is causing me to owe taxes when I don't have control over that. i have been owing back for the last 3 years but just noticing this. The right amount of taxes need to be taken out and No state is being taking out at all, owing State back too. Due to the irs NOT getting the proper forms posted to the internet quick enough this tax year, why did DFAS send out a form on my account telling me they were going to take taxrs out of my retirement when we didn't have access to the forms for tax exemption!!?? I have been trying to get my 1099R since I found out in April what they sent was a annual pay statement. I have called I believe 10 times now and after waiting 10 working days, 10 working day... nothing. I called to ask for a supervisor and they ave me Tina she said she was a lead and would contact IT s about the problem. She did call me back and say I could get it online and I explained to her at a library a copy machine and computer isn't safe.She gave me her direct line, after 10 days, and it turned out to be another line to your hurry up and wait The person who answered said she didn't know who Tina, but she would get it sent out.... 10 working days. Tina should be fired for her bs. I called again and got Zach who said he would get it sent out. Unfortunately hasn't arrived after 11 working days. I started in April, didn't receive it in Jan,and today is July 24,2017. Does anyone really care long as they collect their paycheck? Hopefully 3/4 people I talked with are being laid off and if not at least Tina. My Aunt Passed Away March 31,2017 We Notified you on April 3 of such. I realize she was not due her April Payment and that you would be collecting that back - May 1st comes along you tried to put money in her account again which her bank refused the deposit as they also were aware of her passing - On May 4th you sent a reclaim letter for April & May which you are not entitled to May- after Numerous & I mean Numerous Phone Calls -everyone there has no clue and every phone call seems to bring more lies from this department. The bank has there hands tied until they are given a revised notice from you that you are not entitled to May and are only seeking the 1 month back that you actually paid. Currently they have a hold for (2) months and will have to release it out soon due to regulation policies if this is not resolved. Today comes a new story - you need a Death Certificate before anyone will resolve this issue - My question was/is how can you reclaim something that you don't even no a person has passed away - If you need a DC WHY wasn't I told this on April 3 - of course no explanation can be given and not only that your website states forms would be mailed with 7 to 10 days once you are notified of a death - still nothing - amazing. Somewhere this whole process is broken and broken bad maybe you need less departments handling things and more qualified help. 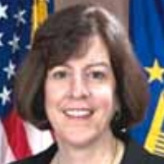 Teresa “Terri” McKay has served as director of the Defense Finance and Accounting Service (DFAS) in the Department of Defense since September 15, 2008. In this capacity, she oversees the Pentagon’s day-to-day accounting and finance activities, including processing military, civilian, retiree, travel and contract/vendor pay, and managing military health care and benefits. McKay earned her bachelor’s degree from Ferris State University in Michigan in 1982 and her master’s degree in business administration from Auburn University at Montgomery in 1992. A certified public accountant and certified government financial manager, McKay previously served as the Defense Department’s deputy chief financial officer, the principal advisor to the under secretary of defense (comptroller)/chief financial officer for accounting and finance matters. She was responsible for developing and implementing the Pentagon’s accounting, finance and general financial management policies. 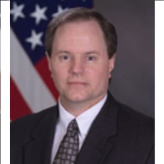 McKay also served as a member of the United States Chief Financial Officers’ Council and represented the Pentagon on various other inter-agency groups and councils. McKay then became the DFAS principal deputy director in August 2006, a position she held until being promoted to director of the agency. In March 2010, McKay’s agency received some unwelcome publicity when it fired 25 employees in the DFAS’s Cleveland office because they failed background checks on their credit. The workers and their union argued that the terminations were unfair due to the fact that the employees didn’t handle classified information, and finding new jobs was going to be challenging in a depressed economy. Zack E. Gaddy is a graduate of Old Dominion University and has a master's degree from Boston University. He is a certified public accountant and a certified government financial manager. Gaddy worked as a program manager with the Air Force Audit Agency, where his special areas of responsibility included evaluating and recommending corrective actions for the Air Force's financial management functions for the general, stock, and industrial funds. Gaddy then served as the assistant for Fiscal Control, Office of the Assistant Secretary of the Air Force (Financial Management and Comptroller), where he directed departmental policy for funds distribution and analysis, and was also responsible for oversight, assessment, and corrective actions for problems and deficiencies identified within the Department of the Air Force's fiscal operations. Gaddy was appointed to DFAS in 1991, serving as the director for Departmental Accounting at the Denver Center. His responsibilities included managing and overseeing all departmental reporting for the U.S. Air Force's general and working capital funds. He implemented DOD financial reporting policies, reviewed and analyzed the U.S. Air Force's financial reports and implemented the Chief Financial Officers Act. Thereafter, he was the deputy director for Policy and Systems, Directorate for Accounting, DFAS Arlington. His responsibilities included the management and oversight of all DOD accounting operations, the development of procedures to implement accounting standards and policies, and the preparation and review of accounting and financial reports. Gaddy was the deputy director for the DFAS Denver Center and Special Assistant for U.S. Transportation Command and Accounting at the Denver Center and from February 1 until August 11, 2000, promoted to director of DFAS Denver from August 11 to October, 2000. He took over as director of DFAS in May 2004.